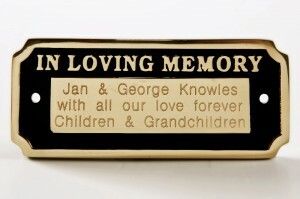 A personalised remembrance sign is an elegant and thoughtful way to treasure the memory of a loved one. 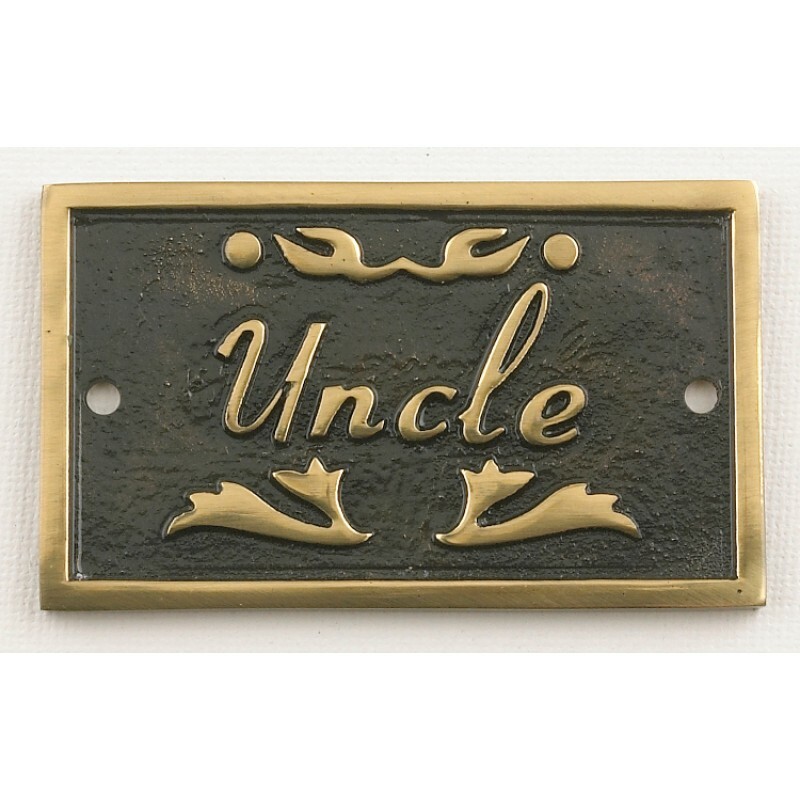 This extensive collection has been carefully crafted by hand from only the highest quality materials. 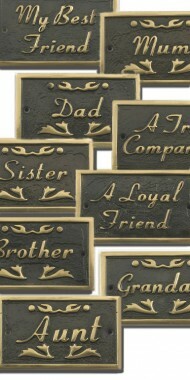 Created from solid brass castings each piece is an enduring way to remember family members and dear friends. 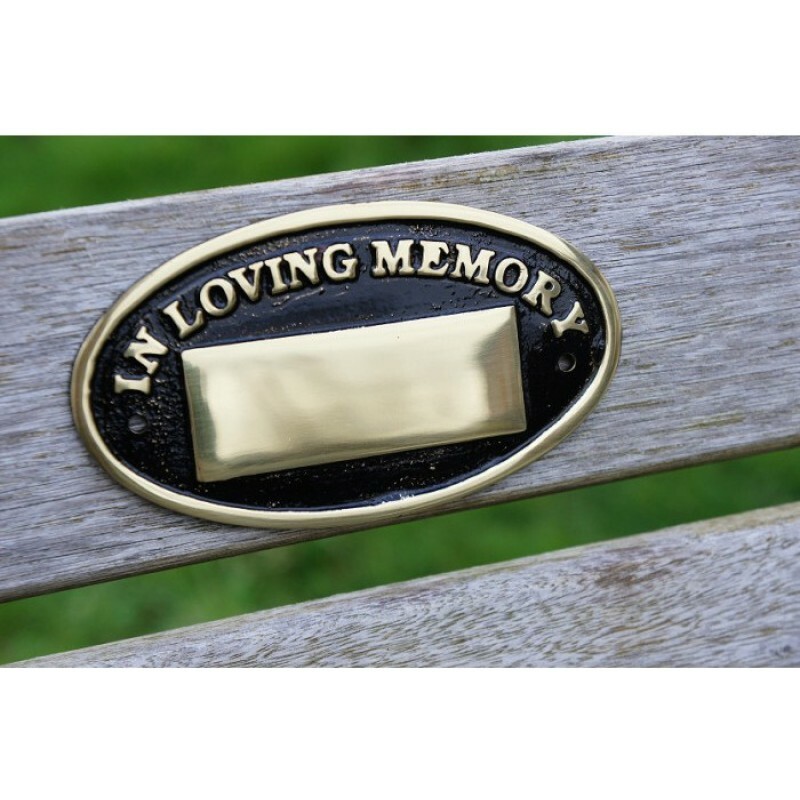 Our memorial plaques can be mounted in any setting, be it your favourite park bench or within beautifully peaceful gardens. 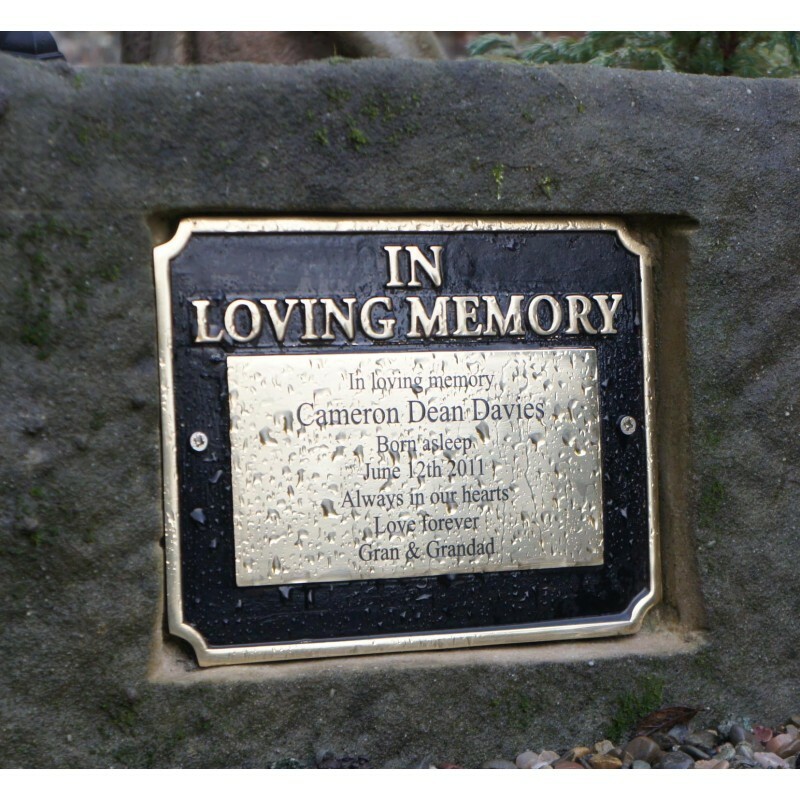 All are finished by hand in midnight black and pre-drilled for ease of installation. 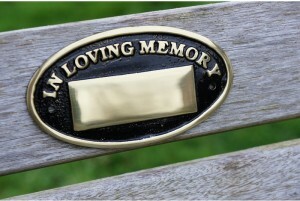 We also offer a range of shapes and styles for you to choose from, including circular signs specially designed for benches. For engraving quotes please give our friendly staff a call on 01691 610952 as we'd be happy to help you customise this piece. 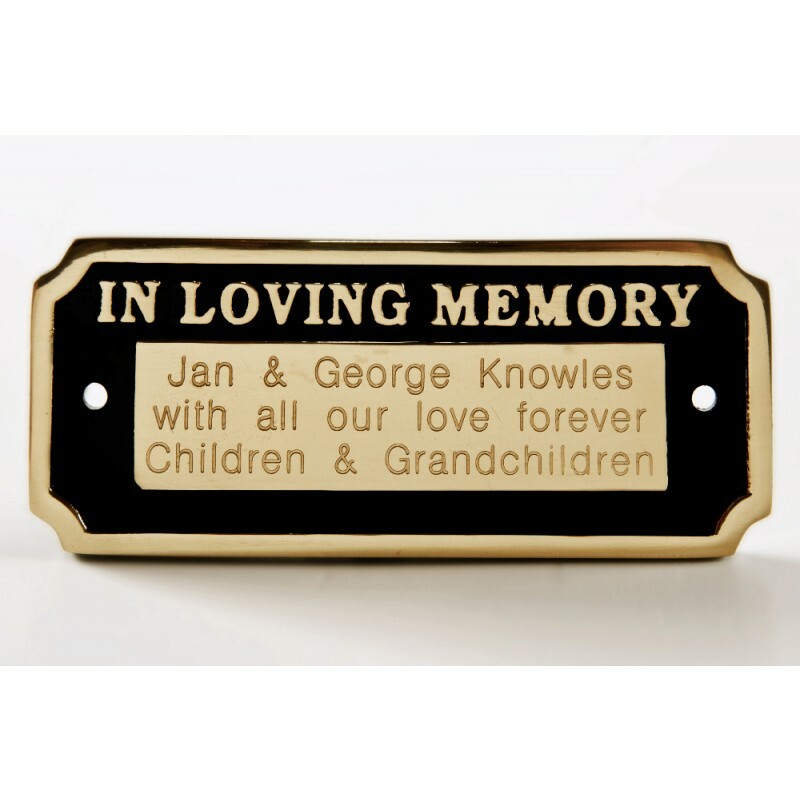 This large solid aluminium memorial plaque is brilliant for longer inscriptions, if you would like us to get you a quote for engraving please call us on 01691 610952.   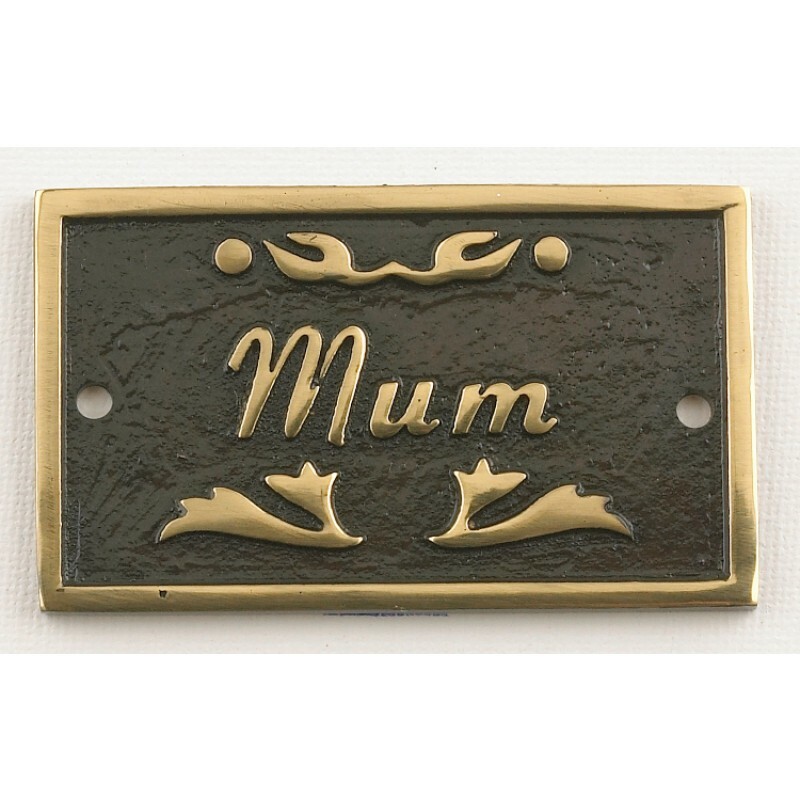 This sign is cast from aluminium and black enamel filled to ensure the piece will last outdoors, which is excellent to adorn that "special place" they enjoyed outside. 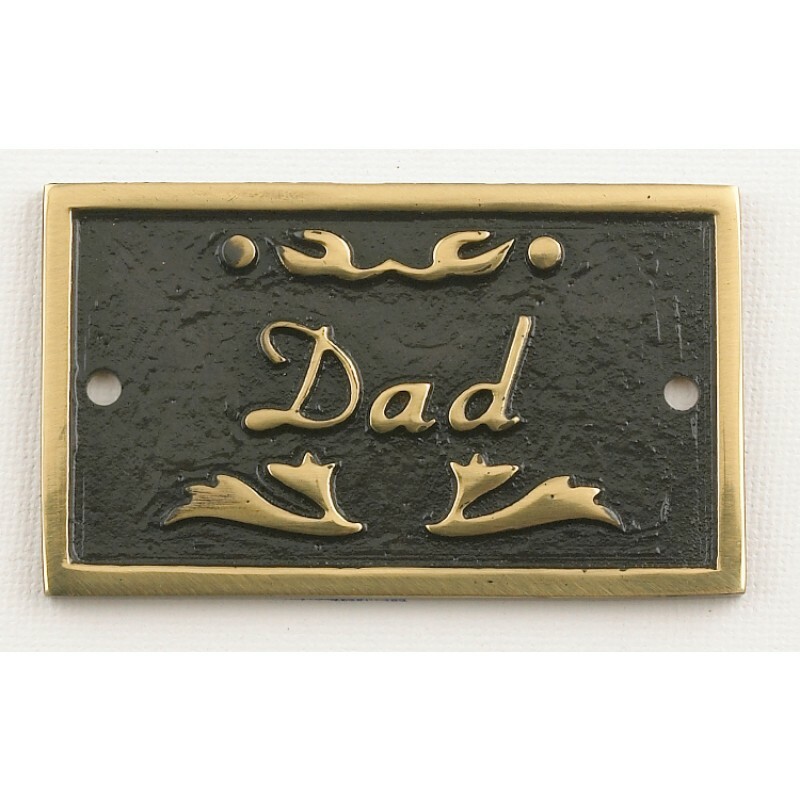 These plaques are supplied with screws and rawlplugs for easy fixing. 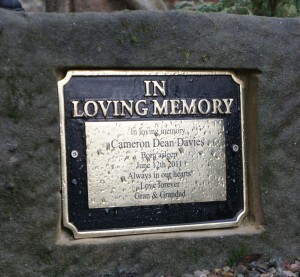 For engravings please ring our sales office on 01691 610952. 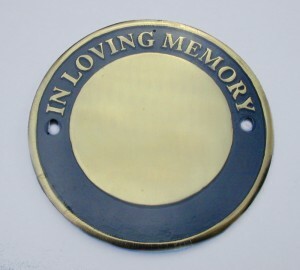 These beautifully classic remembrance plaques are fantastic for adding personalisation to a memorial. 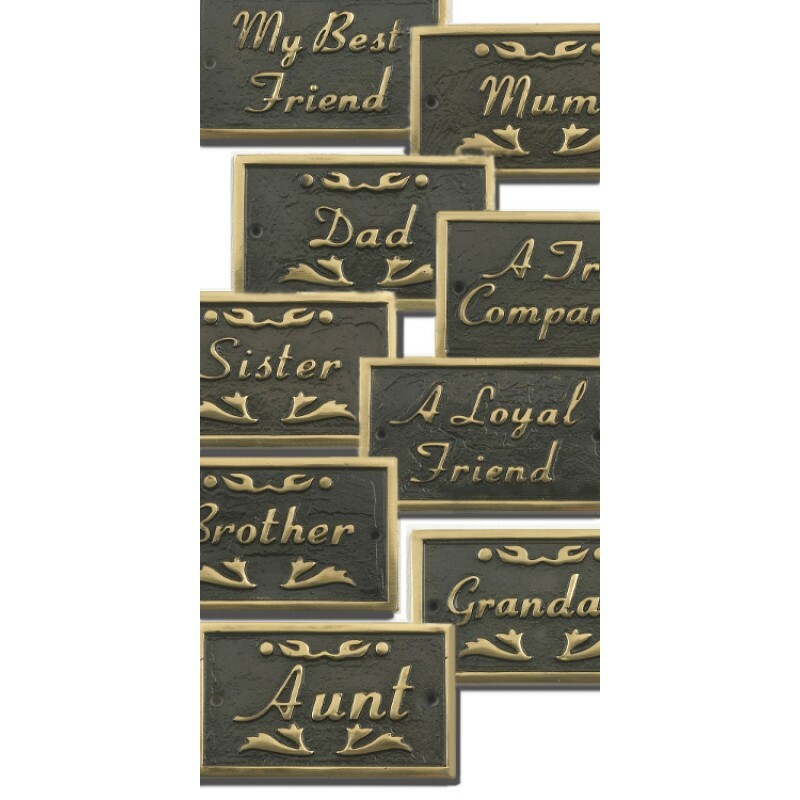 Choose from our selection of solid brass embossed designs to honour your loved one. 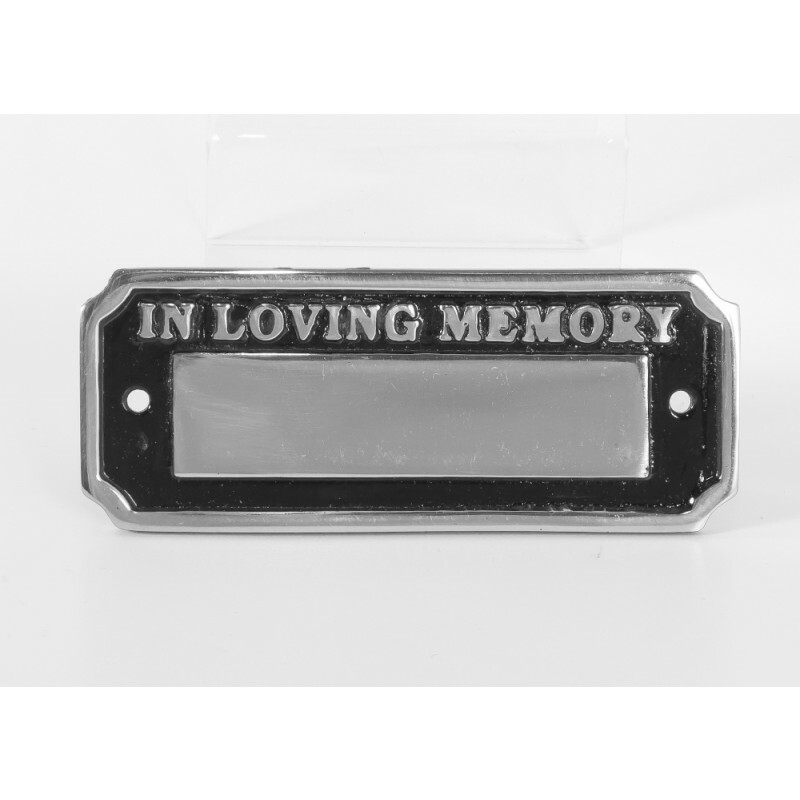 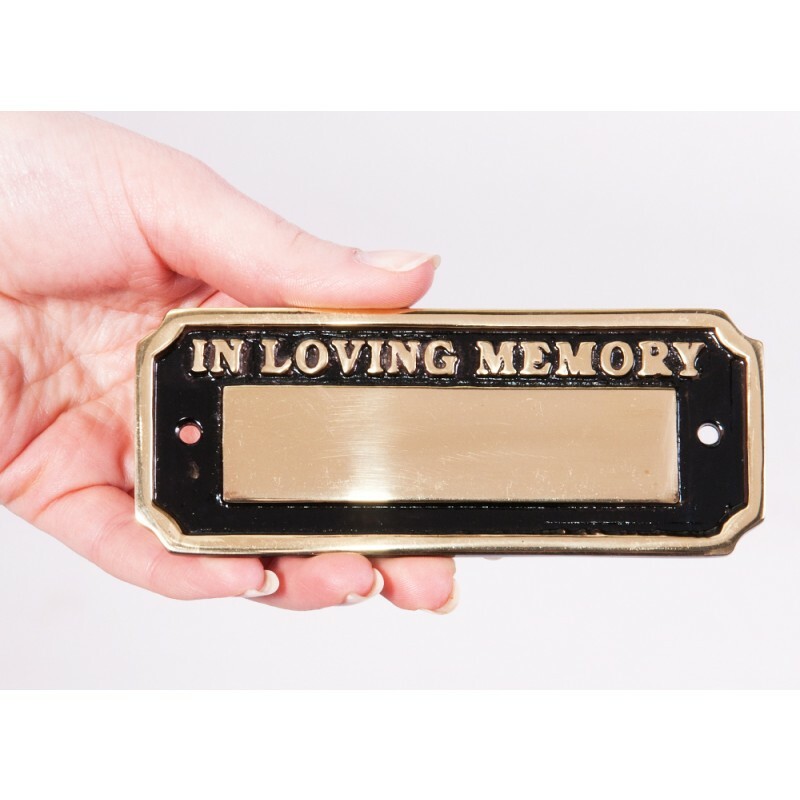 This solid brass cast piece has black detailing and is perfect for depicting your loved ones name. We can arrange to have this product engraved at an additional cost please ring our sales office on 01691 610952 if you require this service. 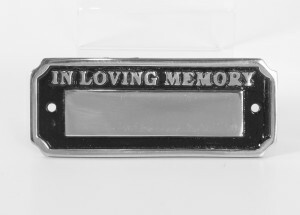 These beautiful embossed plaques can be engraved with a memorial message. 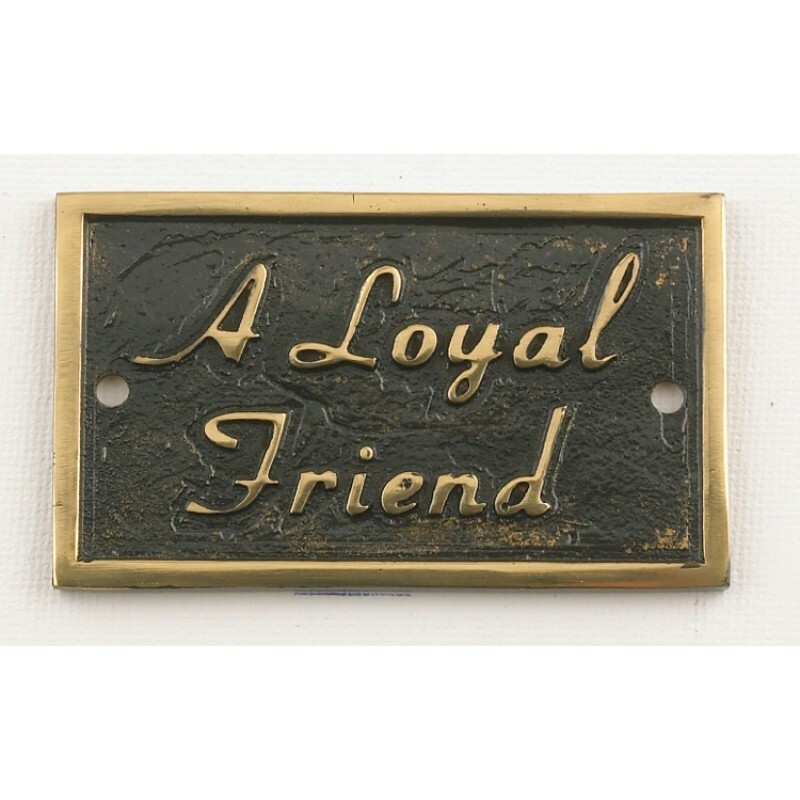 Ideal for fixing to a bench or seat to remember a "dear friend". 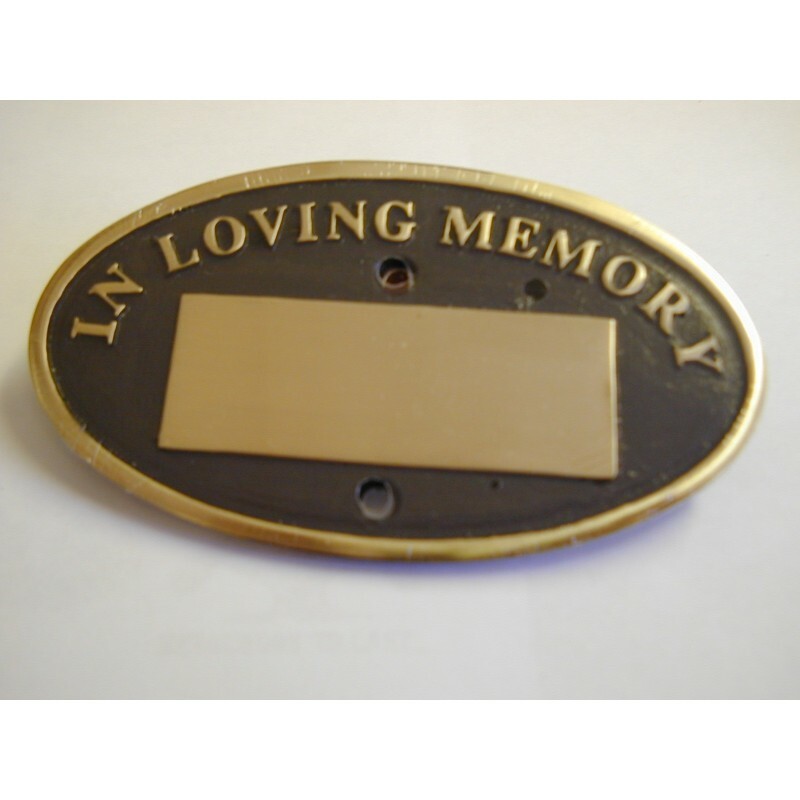 If you are interested in engravings please ring our sales office on 01691 610952 if you require this service. 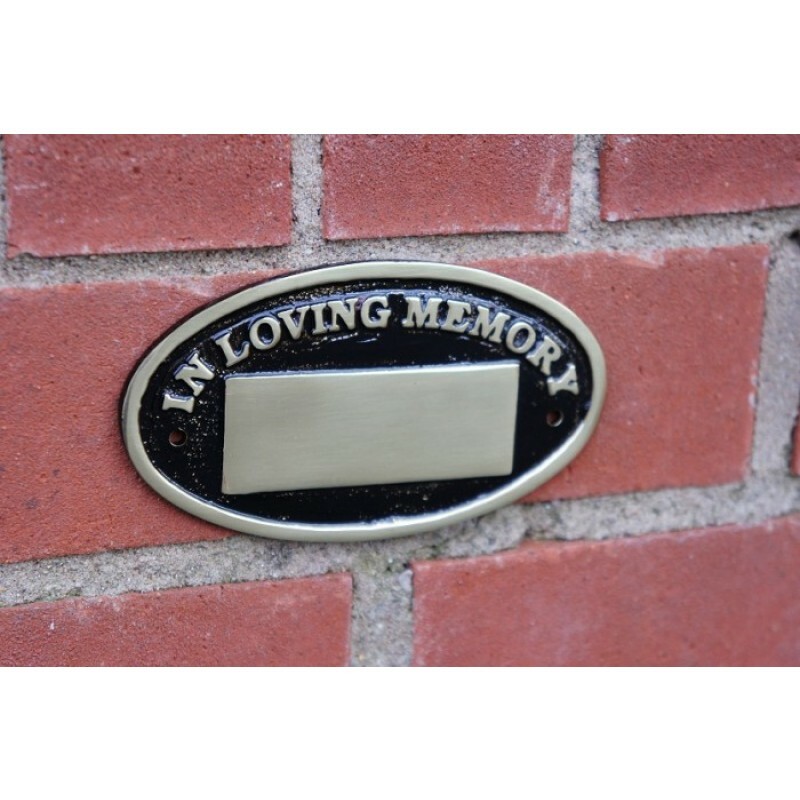 These cast embossed plaques, are ideal for remembering a loved one and recalling that "special place" they enjoyed. 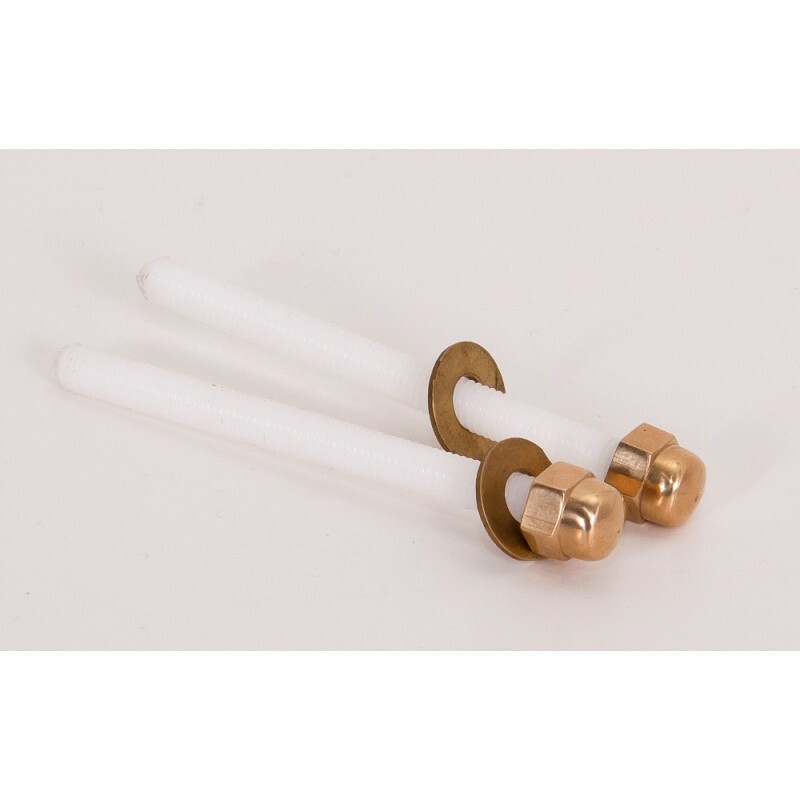 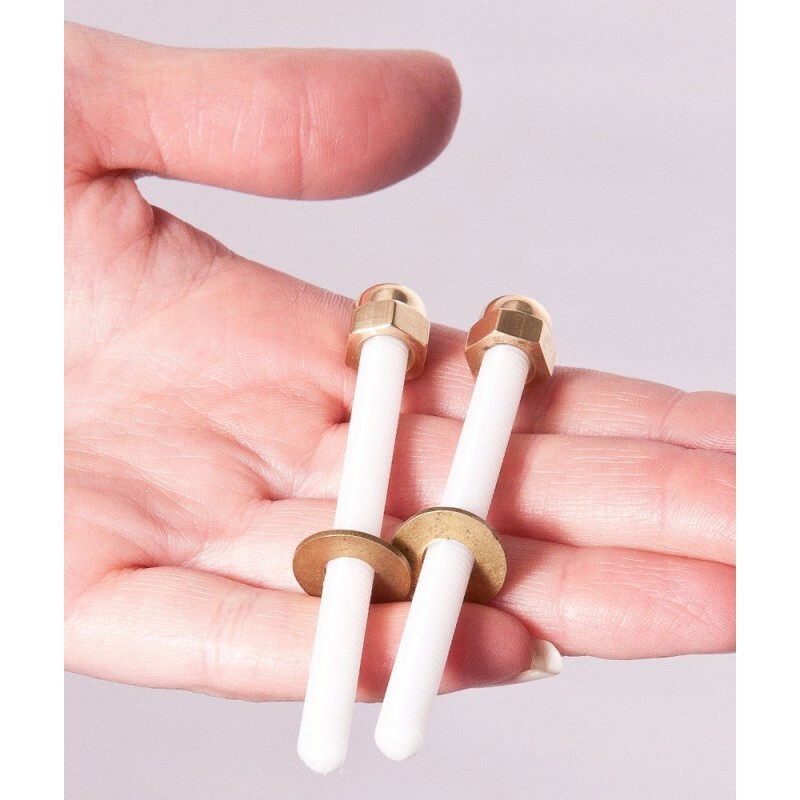 Finished in black and brass, they come with screws and rawlplugs for easy fixing.